The article is directed to evaluation of the export specialization in the Baltic States and revelation of the main differences by the aspect of technological intensity in commodity groups with revealed comparative advantage. The approach of revealed comparative advantage was employed to identify the commodity groups that are capable of successfully competing in the global market. 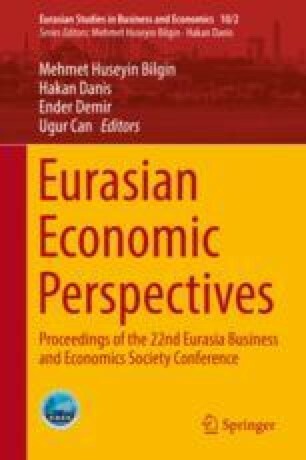 The purpose of this research is to determine whether exports of the Baltic States are capable of achieving comparative advantage in the commodity groups that occupy major shares in the overall export structure and to find out how the exports are distributed by technological intensity of produced goods. The results of the empirical study have disclosed that the Baltic States have quite similar export specialization with large shares of raw material-intensive and labour-intensive goods in their total exports. The category of difficult-to-imitate research-intensive goods also occupies a visible share, but the states do not have any comparative advantage in production of these goods. Similarities in the export structure disclose that a more sustained way to compete in global markets can be achieved by increasing diversity of the exports of the Baltic States and by enlarging the shares of difficult-to-imitate research-intensive, capital-intensive and easy-to-imitate research-intensive goods. Amir, M. (2000). Export specialization and competitiveness of the Malaysian manufacturing: Trends, challenges and prospects. 5th annual conference on international trade education and research, Melbourne. Retrieved October 10, 2016, from http://www.apec.org.au/docs/mahmood.pdf. Banterle, A. (2005). Competitiveness and agro-food trade: An empirical analysis in the European Union. Retrieved November 18, 2016, from https://ageconsearch.umn.edu/bitstream/24692/1/pp05ba01.pdf. Benedictis, L., & Tamberi, M. (2001). A note on the Balassa index of revealed comparative advantage. Retrieved October 14, 2016, from http://docs.dises.univpm.it/web/quaderni/pdf/158.pdf. Erlat, G., & Erlat, H. (2008). How has specialization in Turkish exports evolved over time? A study based on Galtonian regressions. Retrieved November 18, 2016, from http://meea.sites.luc.edu/volume10/PDFS/Paper%20by%20Erlat%20and%20Erlat.pdf. Staehr, K. (2015). Economic growth and convergence in the Baltic States: Caught in a middle income trap? Retrieved November 15, 2016, from https://archive.intereconomics.eu/year/2015/5/economic-growth-and-convergence-in-the-baltic-states-caught-in-a-middle-income-trap/. United Nations. (2002). Trade and development report. Retrieved October 16, 2016, from http://unctad.org/en/Docs/tdr2002ch3a_en.pdf.